So even though FOX says it isn’t, there certainly is a lot going on! It many circles it’s still officially pilot season this time of year. Do your research, go in prepared, and have GREAT photos! Your reps can only pitch what you give them so make sure they have the variety and the quality they need!!! Capture personality, not poses. There is nothing ‘Wimpy’ about Karan Brar. At the ripe age of 13, he is building a resume that takes most actors a lifetime to attain. Seen regularly on Disney’s ‘Jessie’, he also has made guest appearances on ‘Sophia the First’ and Disney XD’s ‘Pair of Kings’. This summer of course, he reprised his role of Chirag Gupta for Diary of a Wimpy Kid: Dog Days. He has a couple of new films getting ready to come out as well, but the real success of Karan is as a person. Karan is a great student and is currently in eighth grade. He loves to swim and is looking forward to moving into the new home with the family as it has a pool! We’ve had the honor to work with Karan and his family since before Diary came out and through all the success, Karan has shone. He is an example for all young actors as he treats everyone with respect and he is a genuine individual thankful for the opportunities given to him. This attitude, along with hard work and excellent family support has put Karan Brar on the map and we look forward to seeing more and more success for him! CONGRATULATIONS to KARAN BRAR as his new show JESSIE premiered on the Disney Channel September 30th!! With 4.6 Million Viewers, that isDisney Channel’s most watched premiere since Suite Life On Deck. What a wonderful piece of Disney History to be a part of!! 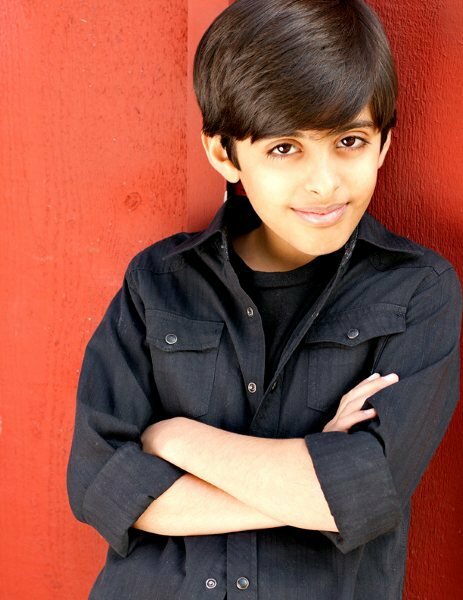 Karan has had a busy summer filming the Jessie episodes and also working on Diary of a Wimpy kid 3 (more on that later). Jessie stars Debby Ryan who plays an 18 year old girl from rural Texas who moves to New York City and finds herself the nanny of some very unruly kids. Karan plays Ravi who has a pet water monitor lizard and is the latest adoptee into the Ross family. Jessie has been approved for twenty episodes and after being on the set a few times, I can tell you first hand this show is hilarious and is going to be a HUGE hit!! Way to go KARAN!! So Proud of you!!! !